Everyone's yelling, "Global warming, global warming!" One of its biggest side effect is the sudden drop in temperature in certain places as well as a sudden rise in temperatures. Well... I was unfortunate enough to feel both. It mostly felt like spring, and it only snowed like 2~3 times. 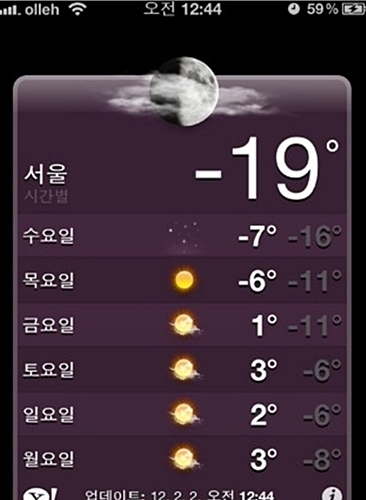 Korea welcomed me with a big, FREEZING slap in my face. 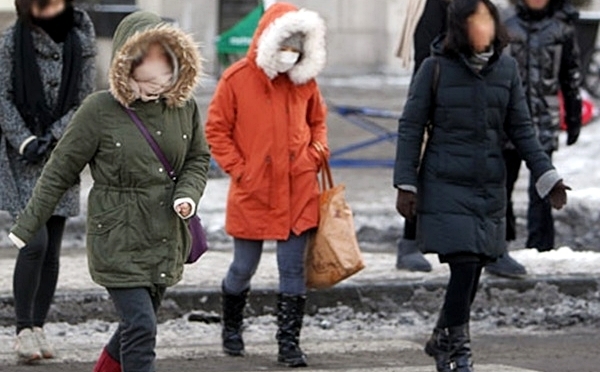 but it is the coldest it has ever gotten in 55 years in Korea. 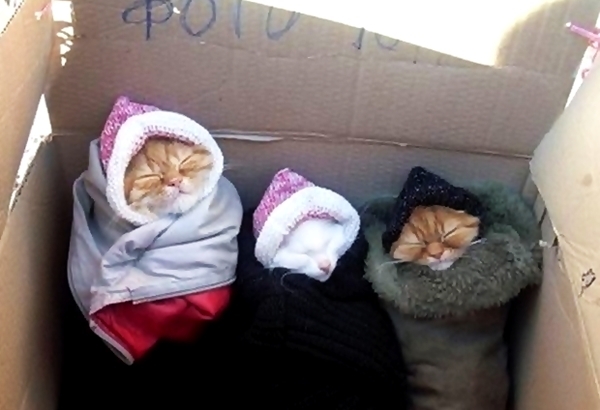 Do you see how the cats are closing their eyes? Yeah. That's what I looked like on the streets of Korea while having to walk to a bus stop only a minute away from my apartment.